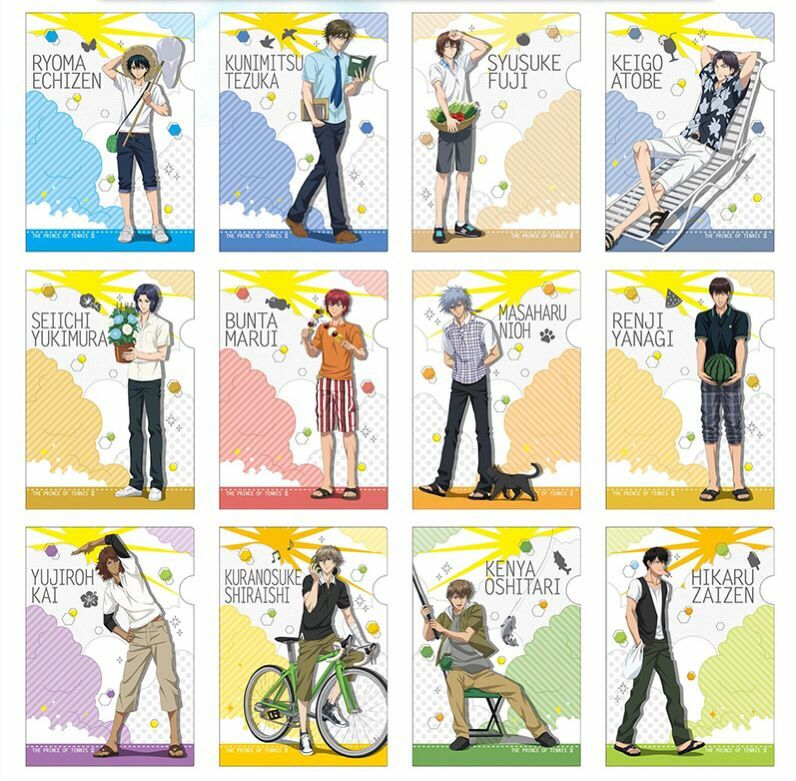 The SHINPURI Mini Clear Files Summer collections are being re-released. I think I might buy them this time. Is anyone interested? If I get at least 6 files reserved from each collection, I will buy a box of each collection. It'll be $7.50/file. First come first served! Hi Linna-chan, may I have Shirashi and Yukimura summer days and summer nights? I might buy a second set B, so if you want those two captains then let me know!! Alrighty, will let you know when the mini clear files come in!! Okie dokie, I will put you down =) Most likely I will buy the boxes, but I'll wait a couple days to see if other people are interested. 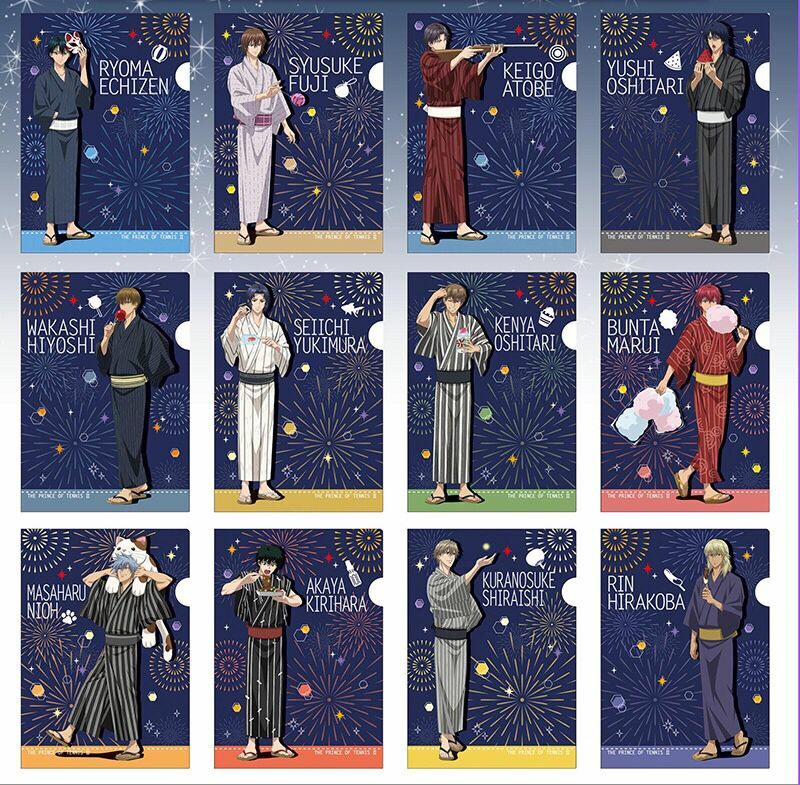 Atobe is available too if you still want him!